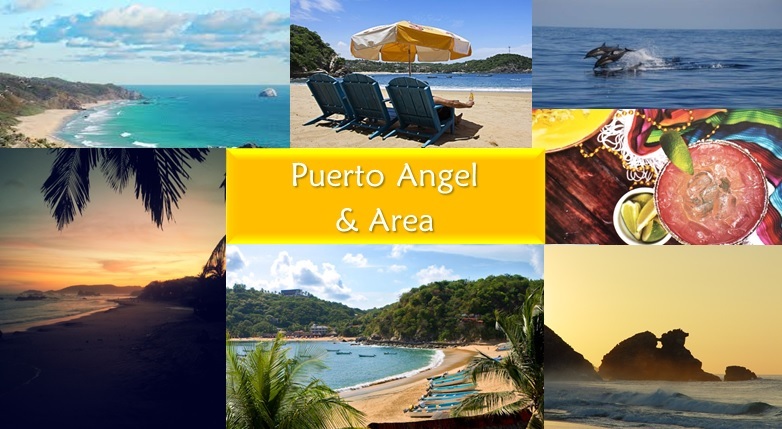 The town of Puerto Angel sits in a small horseshoe shaped bay off the Oaxaca coast and lies between the beautiful Pacific Ocean and Sierra Madre del Sur mountains. During the 19th century this quaint Oceanside town was an important pier where coffee and wood were exported. However, with the creation of new roadways, this port city was place on the back burner. With fewer people venturing into the town the reward was well worth it. The result: Untouched golden sand beaches, crystal clear emerald waters and the perfect spot to unwind and take a break from reality. Puerto Angel is the perfect location if you want to get closer to nature and immerse yourself in the laid back life. This sleepy little town offers spectacular beaches and is a great jumping point to many more beaches to explore, all within minutes of each other. In the town centre you will find Playa Principal, the location of the old pier and the hub of the fishing activities. The beachfront is lined with chairs and umbrellas in front of restaurants serving fresh tuna, red snapper, sailfish, lobster and octopus caught that morning. Walk along the seawall from Playa Principal to Playa Panteon, a beautiful beach surrounded by steep hills and protected from the ocean currents of the Pacific. The calm aquamarine waters make Playa Panteon one of the most popular beaches along the Oaxaca coast and ideal for water activities with the family such as swimming, snorkeling, kayaking and paddle boarding. Rent a panga boat for a fun day of whale & dolphin watching and snorkel, scuba diving or fishing tours. Be amazed at the marine life you will see – there is no shortage of beauty along this coastline! Head in either direction of Puerto Angel and you will discover many more amazing beaches to explore, each with their own personality and flair. East of Puerto Angel are Playa Estacahuite, La Mina, La Boquilla and La Tijera. These small beaches are the perfect spots to spend a day relaxing under a palapa with a cold cerveza. Head West and spend a day at the spectacular beaches of Zipolite, San Agustinillo, Playa Amor, Ventanilla and Mazunte, where the Mexican Turtle Center is located. The Ventanilla Lagoon, where magnificent bird-sighting tours are offered; the crystal clear waters of the Paraiso spring to take a refreshing splash; or a boat ride to neighboring beaches, where scuba diving and snorkeling are some of the available activities. Puerto Angel offers all of the amenities you will need including physicians, pharmacies, markets, hotels, banks, ATMS’s convenience stores and more. 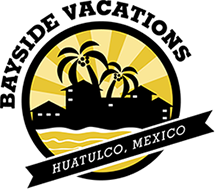 Immerse yourself in the Mexican culture with authentic cuisine served along the beach or at the local taco stands, or head to Zipolite and enjoy authentic Italian cuisine and more. Slow down the pace and get back to nature in the hidden gem of Puerto Angel!